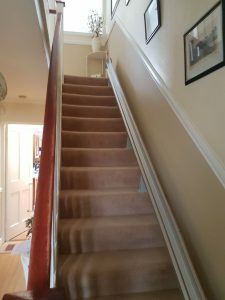 A Homeadapt Elan straight stairlift recently installed by BM Stairlifts in McDonnell Drive, Athy. 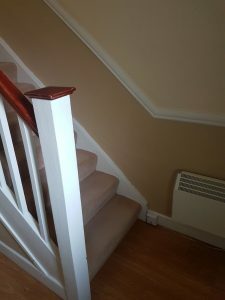 As you can see from the pictures below, the Elan stairlift is a great option for straight stairs. With its compact design it fits close to the wall, maximising walking space on the stairs. 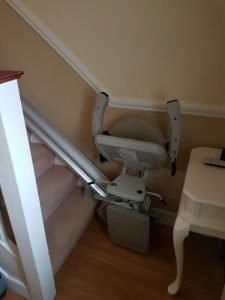 The stairlift also comes with a host of safety features and is fitted with a spacious comfortable seat. 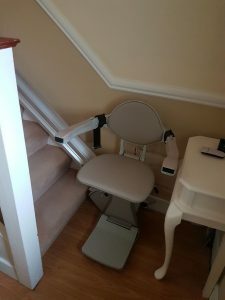 You can find out more about the Elan stairlift here.